“I was freaking out,” claimed an excited Janna Levin from Barnard College. This freaking was occasioned by what has already been termed the “discovery of the decade”. These are always problematic assumptions, and often suggest how researchers and scientific obsessives see their chosen topic as a matter of universal destiny and importance. 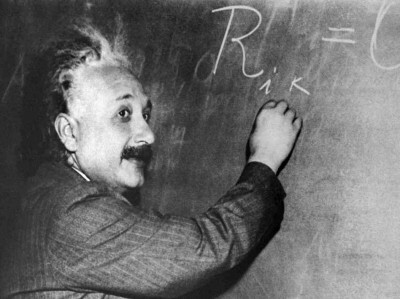 For all that, there is little doubt that the Thursday announcement by physicists that Albert Einstein’s theory of relativity had been given a push and shove of even greater credibility had to be taken seriously. The collision of two black holes billion light-years away had been recorded. The descriptions verged on the fantastic, with the team claiming to be able to hear the rippling phenomena in the cosmos, an affirmation of that orbital dance and mingling between space and time that Einstein envisaged – not that he was very sure about them to begin with. The person credited with the discovery of the black hole phenomenon, Karl Schwarzschild, heard Einstein’s own scepticism on the subject. As if replicating his own theory in practice, Einstein himself bended, waved and rippled, unsure about its implications. Whatever the doubts, the hunt for identifying such gravitational waves had been ushered in. Physicist Joseph Weber attempted to capture them with a six-foot aluminium cylinder in 1969. His individual claim to success was one thing – capturing them would prove to be another. Attempting to nab the elusive cosmic phenomenon would lead to various terrestrial feats, demonstrating again how minute hopes spur enormous efforts. LIGO, which opened in 2002, features two facilities, one in Washington State, the other in Louisiana, both indispensable to the mechanism of picking up gravitational waves. Each interferometer arm, at a lengthy 4km, with the arm beam bounced 100 times between mirrors at either arm’s end, would isolate any discrepancy. On September 14, the magic arrived. The long held fascination with black hole phenomena has also been a facet of the process. Scientific adventure seems, at that point, to turn ever so slightly into the psychedelic spur of science fiction. The reason for such interest, while complex, is clear enough. The General Theory of Relativity, as it does for so much in matter, lays the way for an appreciation of how a gravitational field is determined. The greater the density, the greater the gravitational force. Then comes the haze of disbelief, in so far as black holes can involve notions of zero volume and infinite density, a singularity if you will. “In a black hole,” writes Stuart Clark, “there is nothing known that can resist the overwhelming gravity, and we are forced to believe that the matter is simply crushed into existence” (The Guardian, Feb 2). All is sucked and consumed in the dark, yet furiously busy void – even light itself. The event recorded by the LIGO group seemingly involved two black holes of about 100km across, with one being 36 times the mass of the sun, the other 29. The celestial, violent rupture is the meeting of their event horizons, their respective points of no return. Such violence is the allegorical basis of celestial creation, a cosmic birthing that is preceded by destructive creation. The result is the generation of energy through gravitational waves, and the compression and stretching of space. Not even Einstein could stomach that notion, contending in a 1939 paper for theAnnals of Mathematics that black holes were a technical impossibility. His “On a Stationary System with Spherical Symmetry Consisting of Many Gravitating Masses” became the basis for its own refutation. A few months later, J. Robert Oppenheimer, of paternal atom bomb fame, would argue with his student Hartland S. Snyder in “On Continued Gravitational Contraction” that black holes were perfectly feasible, if not logical outcomes of Einstein’s own theory of relativity. During the 1950s and 1960s, John Wheeler pressed matters further by suggesting that stars could suffer collapse. The study of black holes has made mountains of careers. It certainly did so for Stephen Hawking, so much so he finds himself returning to the subject with unerring conviction. The BBC Reith Lectures has become the latest forum to witness this return, the high priest of such theorising coming back to familiar terrain. Finding a workable project here would not only be an effort to unravel the basis of such a singularity – it would go deeper into understanding another, mind boggling idea: the Big Bang itself. Along the way, scientists might even attempt to dethrone that greatest of theories itself, a feat that would be as ironic as spectacular.